Most of Indian Smartphone lovers are eagerly waiting for Micromax CanvasTurbo A250 launch so that they can Know its Specifications and Price. Well Today we are posting Full specifications of Canvas Turbo A250. Well, this time Micromax will come up with a marvelous Smartphone that will compete with recently launched Gionee Elife E6 and Intex Aqua i7. There is no doubt that its a re branded phone but that really not matter because most of the Manufacturers buy there phone from third party manufacturer. So saying that “Micromax is not doing a good job by launching re branded phone” is really meaningless, specially in India where most of the manufacturers follow the same.. The Micromax A250 CanvasTurbo comes with a 5 inch Full HD 1080p resolution IPS display with Coring Gorilla Glass protection. It is the company’s first 1.5GHz quad core smartphone with Full HD Screen. The A250 has aluminum back and has device seems to be impressively well built. Someone has just recently uploaded the Video of the Phone that shows very-very nice quality and bright display( suddenly video disappeared from YouTube results). 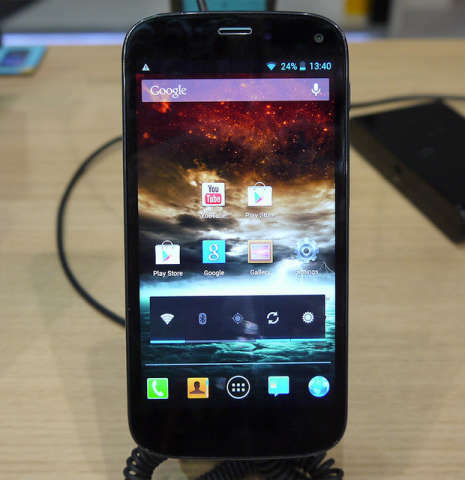 To make the hardware alive there is Android 4.2 Jelly Bean OS. It comes pre-loaded with many games and apps, such as Blackberry Messenger. It also features gesture controls and has PowerVR SGX544 GPU. The Phone is powered by 1.5GHz Mediatek MT6589T quad core processor paired with 2GB of RAM. It has Dual SIM support and the SIM card slots are located on the left of the handset. It comes with 8GB / 16GB /32GB of on-board storage, now it depends on Micromax which variant they will launch in India. The same handset in China comes with NFC connectivity and also a variant without NFC, so here again it depends on the company. It has 13MP AF rear snapper and a 5MP wide angle camera at the front. So we hope you like our work, if SO LIKE OUR FACEBOOK PAGE FOLLOW US ON TWITTER AND SUBSCRIBE TO OUR YouTube CHANNEL FOR MORE TECH UPDATES. The Handset will be priced under RS. 25000 (MRP) in India. Also Check out leaked Benchmarks of the Micromax Canvas Turbo A250. 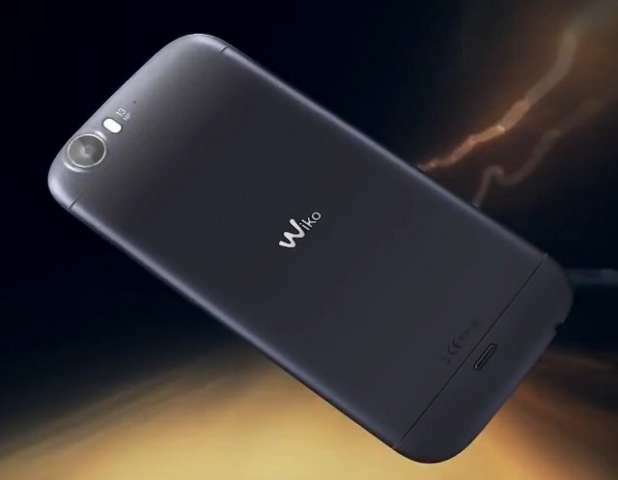 The Micromax CanvasTurbo is a re-branded Wiko Darkfull.